Join us for an evening of inspirational talks and creativity – a taste of what’s to come at TEDxAarhus: Look Closer in October 2018. A host of engaging speakers will cover subjects across Technology, Entertainment and Design in a series of short and sweet presentations that are sure to get you thinking differently about the world around us. An experience for both young and old across the community to come together and do what TED does best: bringing people together and giving a platform to ideas worth spreading. The event is free to attend and is organized and hosted by TEDxAarhus, a non-profit volunteer-based offshoot of TED. Vision for bæredygtige fremtider: TED is a non-profit organization devoted to Ideas Worth Spreading. With a focus on Technology, Entertainment and Design, the two annual TED Conferences invite the world’s leading thinkers and doers to speak, inspire and share their ideas for 18 minutes or less. In the spirit of ideas worth spreading, the TEDx program helps communities, organizations and individuals produce TED-style events at a local level. TEDx events, like TEDxAarhus, are planned and coordinated independently by teams of passionate volunteers. We are excited to be in its third year with our main event coming up on Saturday, October 6 at Hermans, Tivoli Friheden. Our Pre-Event at the Dome of Visions on September 3 is a fun and engaging free evening of inspiring short talks which will give the community a taste of what to expect on October 6. We see TEDxAarhus’s ethos aligning closely with the Dome of Visions – our events are designed to spark discussion and connections in the community. We create a positive and engaging space for people to be exposed to ideas around innovation and technology, sustainability and environment, entertainment and culture, art and design and more. We believe in working towards a sustainable future by providing a platform for individuals from all walks of life (not just experienced speakers) to put their ideas out into the universe. Vision for fremtidens by: Our vision looks like a city where we have collectively made strides in sustainable living, a thriving tech and creative scene, a cultural melting pot – while still encouraging active learning and discovery in all fields. We live in an active, compassionate and engaged community that encourages accessibility for all. 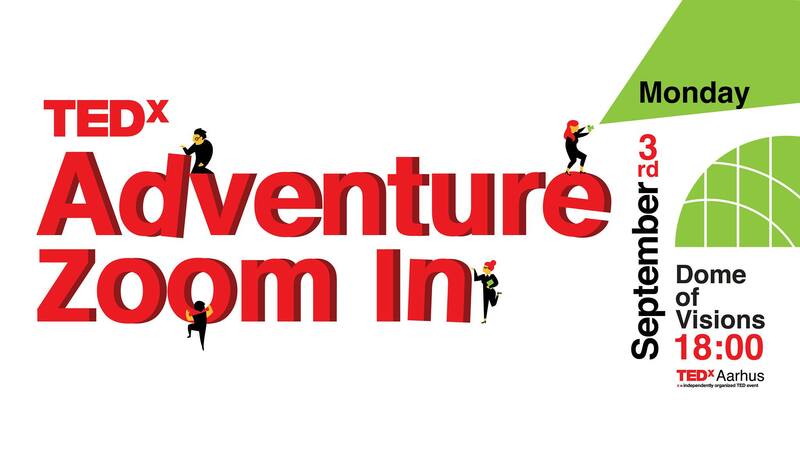 An exciting and inviting place where both individuals and groups are supported to take risks and be adventurous in thinking, innovation and actions.